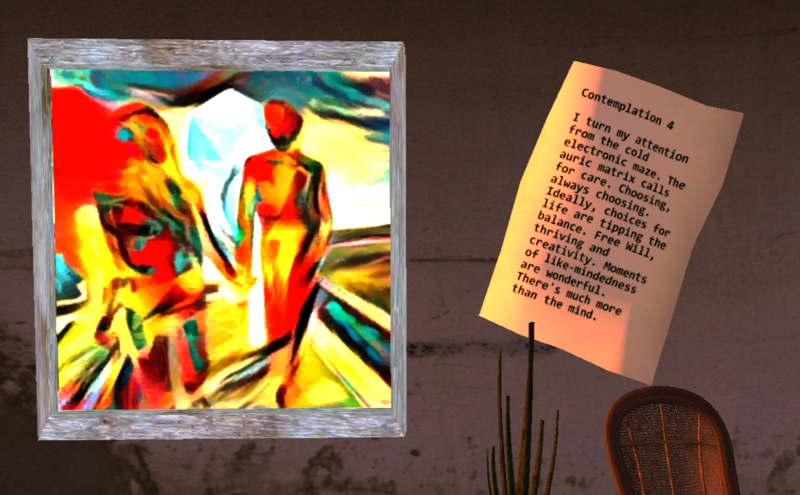 The installation, Contemplating Overlapping Realities, is made up of four 2D digital art pieces, nine written contemplations, and seven written articulations. Opening in late September of last year, it has been extended to show throughout the rest of this month. 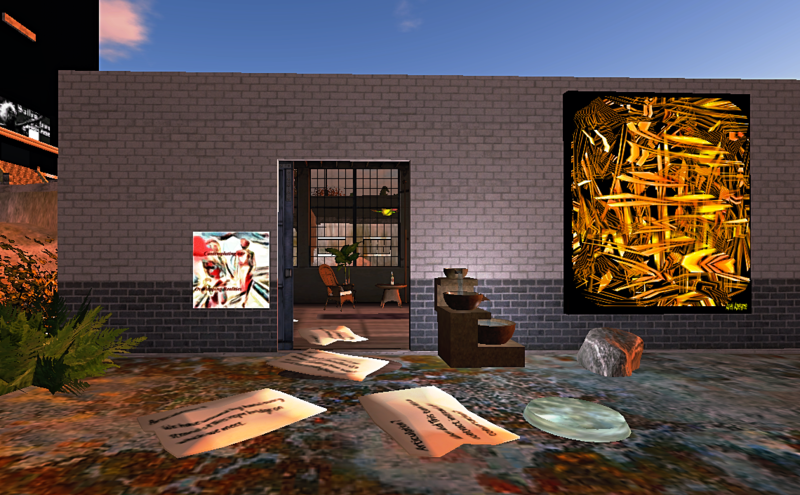 “Contemplating Overlapping Realities came about when Elle Thorkveld invited Klaus and I to create something for the space in the gallery that had previously held a Resistance exhibit. Creating a flow from that, I began with something closer to the micro level, regarding change. More than merely whining, or passive-aggressively directing at someone, I examined areas of sharing where fresh air and upgrades are being called for. The meditations, if you will, are softened by the visuals and ambiance of the gallery and the parcel it is located on, Elle’s Artlot. “Articulations are slower than dialogue: what I might say with the benefit of contemplation that is so seldom present in the moment of an interaction. They cannot always be said out loud in linear time, but I see this exhibit as an moment for ‘speaking nevertheless’. Words matter, and when we lock them in they can rot in us. My own contemplations in this space have led me to see that, in any human relating, it is the unsaid that often contains the greatest power to harm and heal. Not being heard is diminishing. Perceptions that are not checked out loud against reality can be so very wrong. When you arrive at Elle’s ArtLot, you’ll see pages spilling out of the exhibit room. The poster to the left of the door contains two notecards, one about the installation, and the other with the collection of the articulations and contemplations. 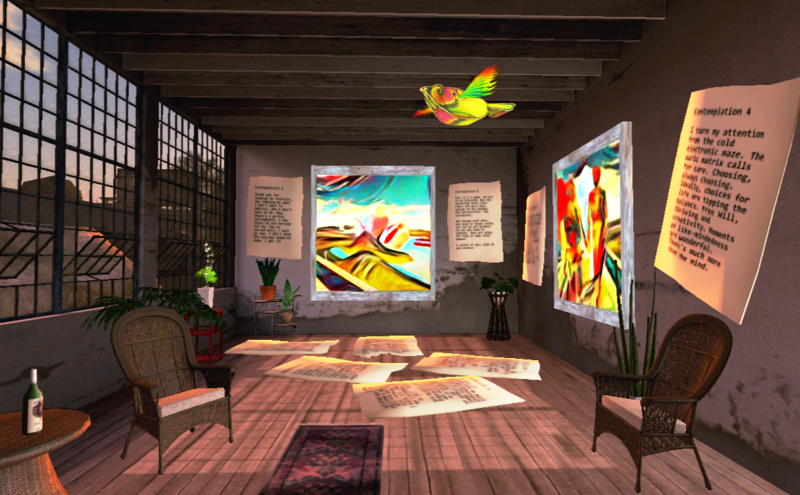 The vibrant, animated art to the right of the door is by Aneli Abeyante. 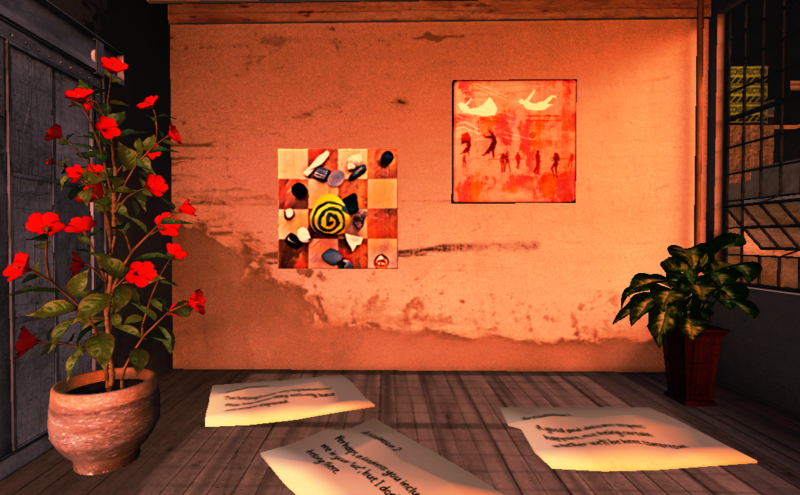 There is much more to see on this parcel in Rivulet.